The CEO and Chairman of Better Globe Group, Rino Solberg, was celebrating this week, having being named Business Worldwide Magazine's (BWM) Man of the Year 2018. 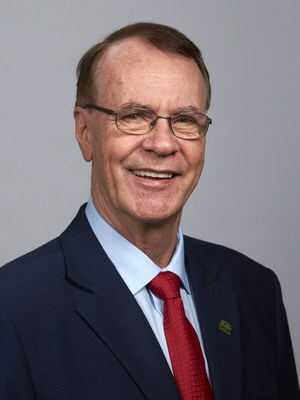 Solberg was the unanimous choice of the judging panel thanks to his extensive work in corporate sustainability; a global movement which has become increasingly popular over the past twenty years. Now in its third year, the BWM 'Man of the Year' accolade recognizes those individuals in business whose proven leadership, strategic planning, customer and market focus has not only stimulated their company to continually grow, develop and innovate, but also whose vision and enterprise has helped shaped the conceptual landscape of their industry for the better. Better Globe Group plans to help in the fight of eliminating poverty in Africa by planting trees. Solberg, a successful serial entrepreneur, made a conscious decision to change focus from heading up profit-making businesses to making a real difference in the world. He chose to focus on Africa, where poverty has been well-documented for many years, aiming to help approximately 70% of the indigenous population, who are poor farmers. Instead of living season by season, he encourages farmers to plan for long term sustainability. The tree planting programme enables farmers to enjoy long term profits, and Solberg has also written two books and publishes a forestry magazine to educate African farmers on a new, more profitable way of working. "Anyone can tell that Africa is going to be the next booming continent," said Solberg. "Six of the ten fastest growing economies in the world in 2018 are in Africa. That means there are many opportunities there for people who want to invest their money in the coming years. Better Globe Forestry is in the lead to eradicate poverty and corruption in Africa, in a sustainable way and we believe we have found the key to do this, as well as the tools to make it happen." Business Worldwide Magazine is the leading source of business and dealmaker intelligence throughout the world. Our quarterly magazine and online news portal enables an established audience of corporate dealmakers to track the latest news, stories and developments affecting the international markets, corporate finance, business strategy and changes in legislation. This readership includes of CEO/CFO - Banks, Corporate Lawyers and Venture Capital/Private Equity Companies to name a few. Can Netflix Keep Borrowing Money to Fund Original Content?